As is tradition, our last camp for the year is our Christmas Camp!! This camp caps off our year of fun Scouting. It was held at Zurrieq HQ between Tuesday, 28th and Thursday, 30th Dec 2010. Leaders went up a day earlier to prepare equipment and settle in.This camp was a mixture of activities. From outdoor scouting skills to a visit to Santa! First off, we got messy making Christmas logs and then rushed off to the Malta Falconry Centre. Here, Cubs had the chance to get up close and personal with some huge birds!! We also managed to squeeze in a visit to Santa’s town over at Popeye Village and some bungee jumping trampoline over at the Enchanted Forest of Inspire Foundation. Of course, campfire was a must together with some BP bread and marshmallows. 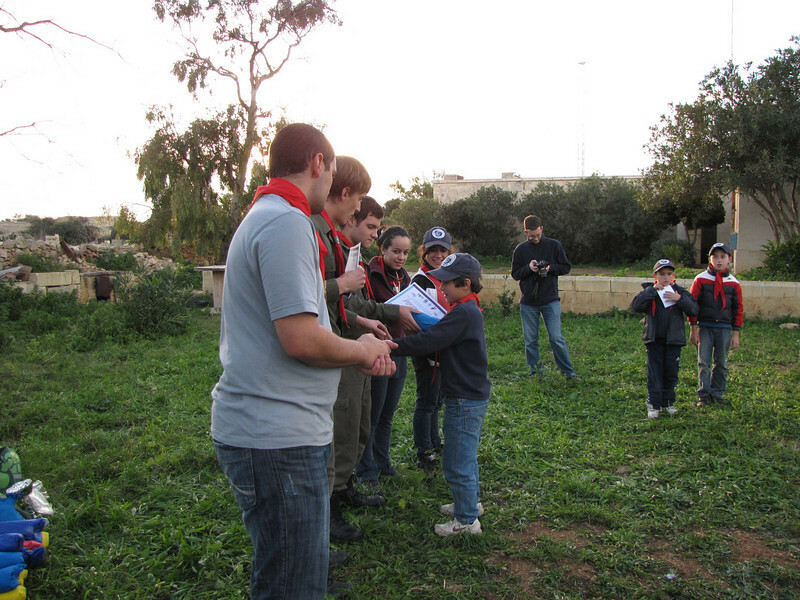 Camp ended with the End of Year Awards characterised by the ‘Cub of the Year 2010’ award. Great location + delicious food + creative crafts + cool activities + games + Scouting skills + awards = ONE GREAT END OF YEAR CAMP! !